My sweet, sweet friend Brooke recently had me over for dinner and made this to die for kale salad. The next day I was still dreaming of it, so I asked her for the recipe not only so I could eat it forever, but also that I could share with you guys! Not only is Brooke herself a QUEEN (not to mention the best mama I know), but the salad itself looks like it's covered in jewels - so I thought the name was appropriate! Perhaps the very best part of this recipe is that it is made from all Trader Joe's ingredients! Hello easy weeknight dinner. I hope you love this as much as I did! Thanks Brooke! Follow for the full recipe..
Toss butternut squash in a drizzle of olive oil, salt and pepper. Roast in a single layer on a baking sheet for 25-30 minutes at 400 degrees. Add all dressing ingredients to bottle or jar with a secure lid - shake shake shake to combine! In a large bowl, toss the kale in dressing. 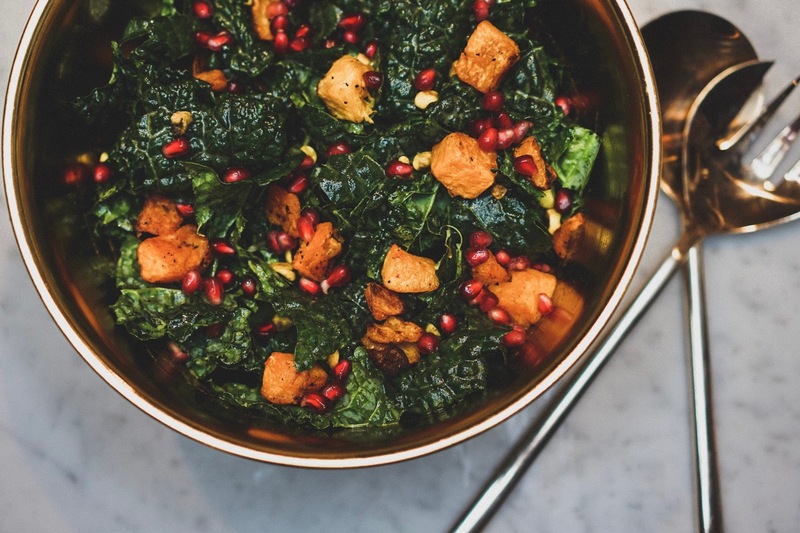 If you like a slightly softer kale, massage dressing in with clean hands. 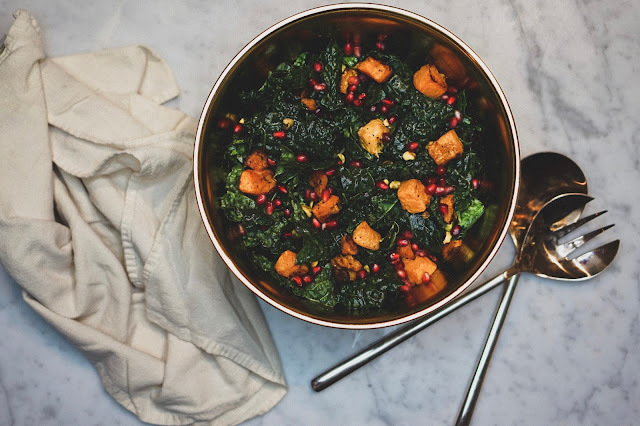 Top kale with roasted squash, arils, and seeds - toss to combine. THAT'S IT! Now it eat all up, and give special thanks that sweet Brooke brought this salad into existence.